A two bedroom end of terraced cottage located in the village of Toddington and ideally located for Junction 12 of the M1, local village, shops and schools. 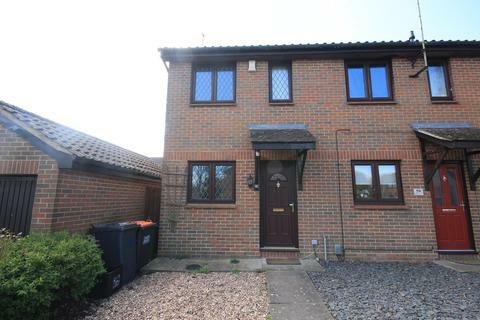 The property benefits from double glazed windows, gas heating, car parking space and front and rear gardens. The property is unfurnished with a newly installed and decorated kitchen and is available Now. SAVING YOU MONEY FOR YOUR FUTURE MOVES! These particulars have been prepared by Thornes upon the instructions of the landlords. The measurements are approximate and should not be relied upon when ordering furniture etc. Property reference STA45A. The information displayed about this property comprises a property advertisement. OnTheMarket.com makes no warranty as to the accuracy or completeness of the advertisement or any linked or associated information, and OnTheMarket.com has no control over the content. This property advertisement does not constitute property particulars. The information is provided and maintained by Thornes Chartered Surveyors - Luton. Please contact the selling agent directly to obtain any information which may be available under the terms of The Energy Performance of Buildings (Certificates and Inspections) (England and Wales) Regulations 2007 or the Home Report if in relation to a residential property in Scotland.